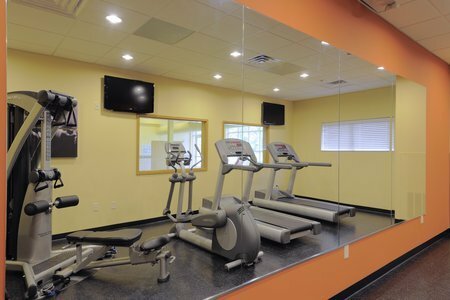 Situated off I-26, the Country Inn & Suites® by Radisson, Columbia at Harbison, SC places you near Columbiana Centre and a variety of attractions on Harbison Boulevard. 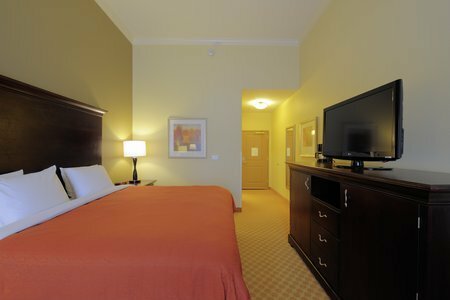 Also close to Fort Jackson, USC and downtown Columbia, we’re perfect for those who want to visit the capital without the hassle of staying in the center of the city. Tired after a long interstate drive? Relax in the hotel’s hot tub, and then recharge with a dip in the indoor pool. Greet the morning with a Belgian waffle and fresh fruit at the hotel’s complimentary, hot breakfast. If you’re in a hurry, you can grab a bagel and a cup of coffee before rushing out the door. For lunch and dinner, you have plenty of nearby restaurants to choose from, like The British Bulldog Pub, known for its lively atmosphere and great selection of craft beers. Sit back with a Tower of London burger and a pint as you listen to live music or watch the game on one of the pub’s multiple TVs. Columbiana Centre – About a mile from the hotel, the Columbiana Centre is home to more than 100 stores. Browse your favorite brands and hunt for bargains, and then grab a bite to eat at the mall’s Red Robin restaurant. South Carolina Governor’s Mansion – Discover the rich heritage of the state with a tour of the antebellum Governor’s Mansion, which is both the residence of the current governor and a public museum. While in the mansion’s library, see if you can spot the rare three-dollar bill minted in Charleston in 1777. Riverbanks Zoo & Garden – You can see the antics of penguins and sea lions at Riverbanks Zoo, about 10 minutes away. Be sure to visit Ndoki Forest, an exhibit that’s home to meerkats and gorillas, which are entertaining to watch at feeding time. 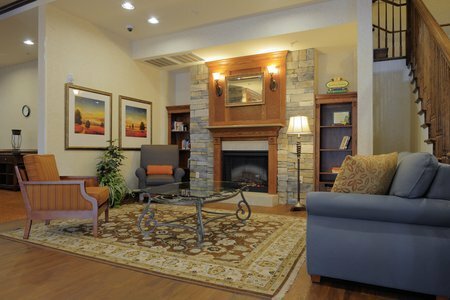 Read more about our hotel’s Harbison, SC location. Host a corporate meeting or training session at the Country Inn & Suites, which offers a meeting space for up to 12 people. The hotel provides free high-speed Internet access and a personalized Web page for your event, perfect for communicating last-minute details. Please note: Pets are not permitted in the hotel.